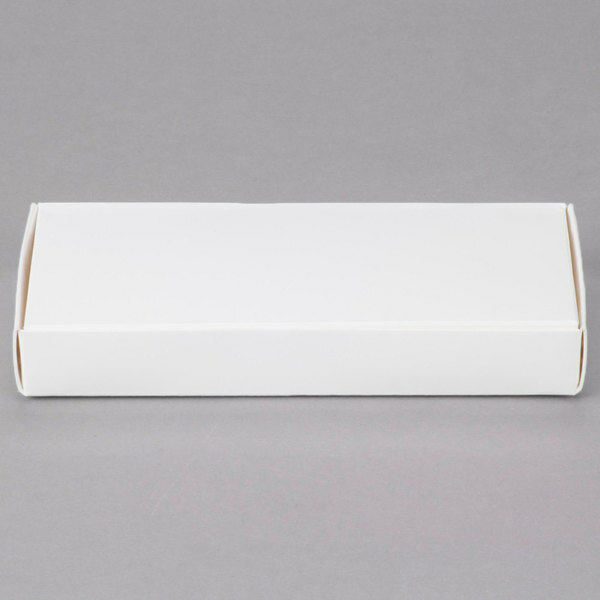 Offer classic, simplistic white packaging with this 7 1/2" x 4" x 1" 1-piece 1/2 lb. 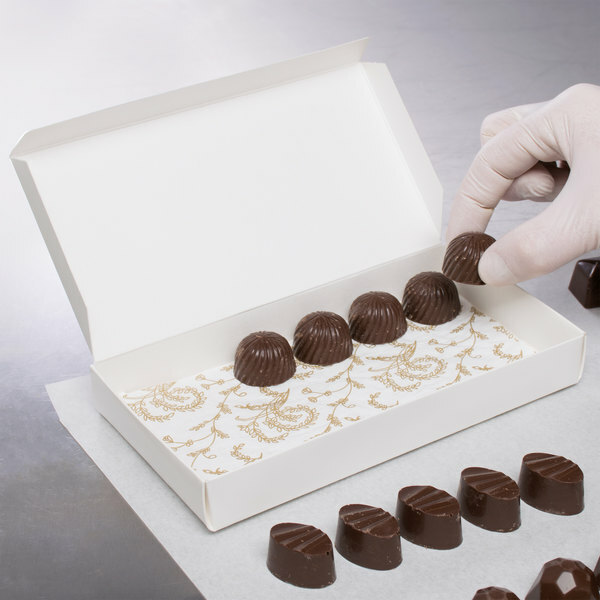 candy box at your bakery, candy shop, or restaurant. 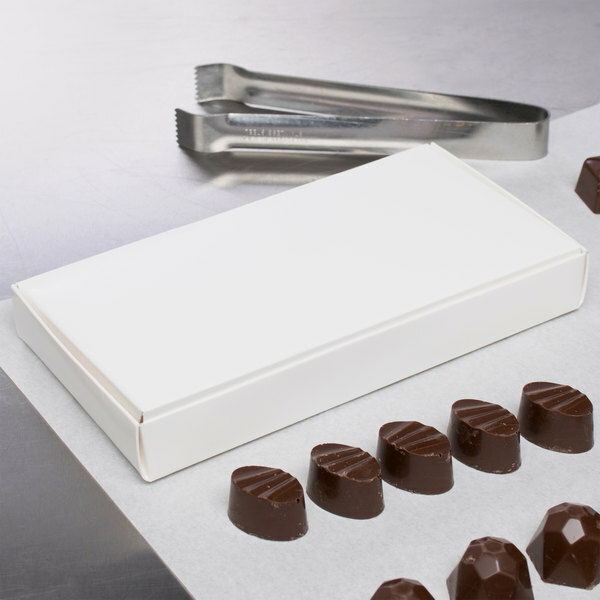 Your business can use this box to package fudge, taffy, cookies, candies, and mints. 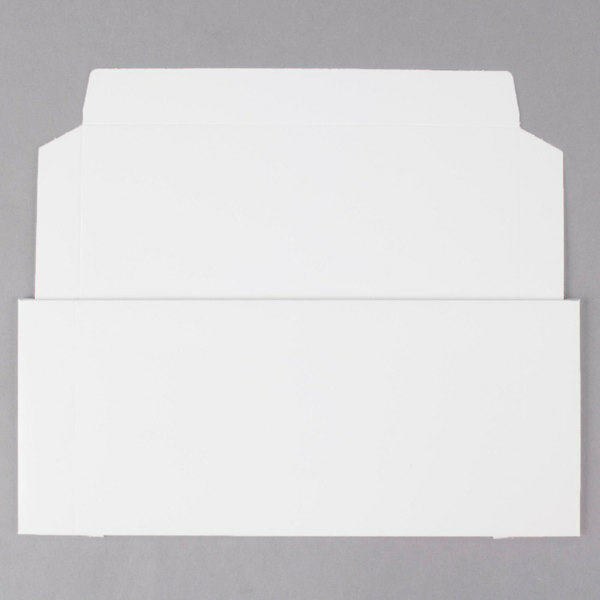 This universal white color is great for year round usage, as patrons can use it to celebrate all occasions. 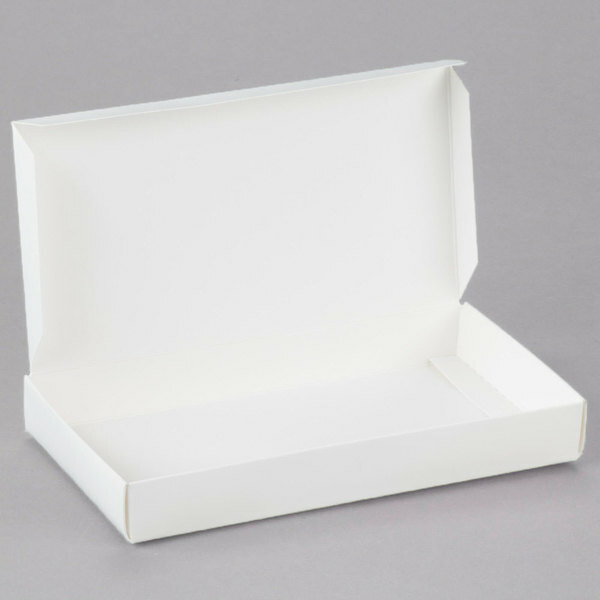 Plus, the box's pristine appearance is sure to catch everyone's attention! This product can expose you to chemicals including Formaldehyde (gas) and Bisphenol A (BPA), which are known to the State of California to cause cancer, birth defects, or other reproductive harm. For more information, go to www.p65warnings.ca.gov. WARNING: This product can expose you to chemicals including Formaldehyde (gas) and Bisphenol A (BPA), which are known to the State of California to cause cancer, birth defects, or other reproductive harm. For more information, go to www.p65warnings.ca.gov.